Milo Yiannopoulos and Richard Spencer are two prominent speakers who have caused controversy when they attempt to give, or succeed in giving, speeches on college campuses. While these speakers might have different messages — Yiannopoulos once said feminism was cancer and Spencer expresses white supremacist ideologies — what they do have in common is their claim of conservative ideals and the push back they have received speaking on campuses. Free speech on campus has been a contentious issue for decades, which recently exploded during the 2016 election. Because of the election result and the turmoil that followed, some conservatives say they are being silenced on campuses nationwide and throughout the halls and green space of Ohio State. Antani, who was president of the Ohio State College Republicans, said the marginalization of conservative speech on campuses is not a new phenomenon and has been happening at Ohio State for at least eight years, when he started in Autumn 2009. 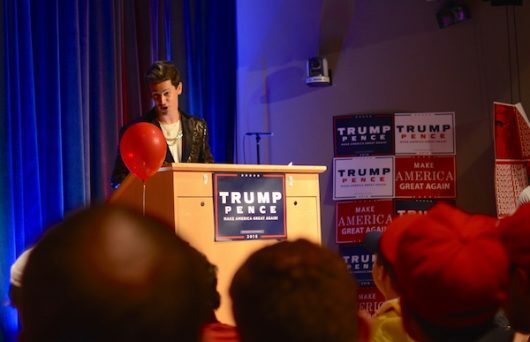 “[Students] don’t want to stand up in a class and defend Trump or Republicans because they think their professor might grade them poorly because of that,” Antani said. Kenny Horsley, a second-year in political science and a member of College Republicans, said that he felt animosity as a first-year student and as a small minority of his scholars group that held conservative views. Horsley said he experienced “back-door” threats because of his expressed political ideology. Alternatively, Brad McKinniss, a graduate student and president of Young Democratic Socialists at Ohio State, said speakers who are further left than mainstream Democrats probably have a harder time on campuses. “In a way, it’s worse for leftist speakers because it’s been happening to left speakers for years, if not decades, where they have been ‘de-platformed’ and not allowed to speak about current issues,” he said. Lately, Ohio State has been embroiled in the free-speech debate for denying Richard Spencer’s request to speak on campus twice, while the University of Cincinnati announced it allow Spencer to speak on its campus this fall. Antani said while people certainly should disagree with individuals or groups that spread a negative message, it doesn’t mean they shouldn’t be allowed to speak. “Just because you disagree with my free speech, that doesn’t mean you get to ban it,” he said. McKinnis said the decision to deny Spencer’s request for campus space was the right decision by the university, and that there is a fundamental difference between the right-wing and left-wing speakers that are trying to come to campuses. McKinniss added that students can’t leave it up to the administration to stop speakers like Spencer coming to campus. “The onus is on students and professors in a way to not allow this to go any further. I am very glad the university didn’t allow him, but we can’t always rely on the university to protect us,” McKinniss said. Ohio State has made news for denying Spencer, but it certainly has not been grabbing headlines the way a campus like University of California, Berkeley has, specifically its decisions to allow speeches that have resulted in costly damages and large police forces. “Just because you disagree with my free speech, that doesn’t mean you get to ban it.” – Niraj Antani, the youngest member of the Ohio House of Representatives, a Republican and Ohio State alumnus. 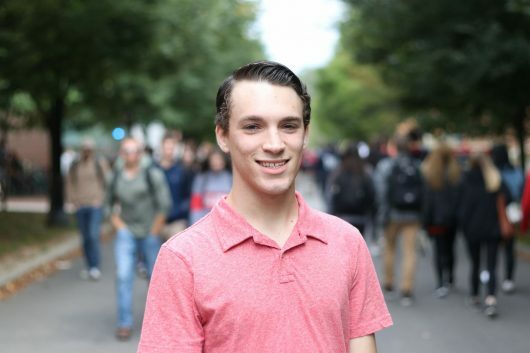 Nick Davis, a fourth-year in natural resource management and president of Ohio State Students for Trump, said he thinks Ohio State’s campus has its problems, but that it is not as bad as UC Berkeley when it comes to political division. Many controversial speakers have been labeled as alt-right, which is a white nationalist movement that has become prominent. But Davis said the alt-right labeling is not a fair way to portray the conservative movement on campuses. One of the main Ohio State policies that FIRE takes umbrage with, claiming its vagueness allows for infringement on free speech, is regarding the Bias Assessment and Response Team. Ben Johnson, an Ohio State spokesman, said the university is committed to creating a diverse community welcoming to everyone on campus. Antani, who is co-sponsoring a campus free speech bill, said universities must start with a policy that allows everyone on campus to have free speech. McKinniss, however, said he believes the First Amendment is being misconstrued. “A lot of people misunderstand free speech as everyone should be given a platform, but that’s not how it works,” McKinniss said. Moving forward, the students interviewed for this story expressed a hope that political speech on campus can return to a civil discussion. “In order to make progress, in order to move forward, both sides have to be able to share their opinions so we can work out which one is right and which one is wrong. How can we make this better and move forward as a society?” Davis said. McKinnis said he would like to see debates on campus move back to a more civil climate, but that he doesn’t see it happening anytime soon. “This election was a breaking point for a lot of people in a lot of different ways,” McKinniss said. Davis said change is necessary for political discussion, and cannot be changed with a single policy.